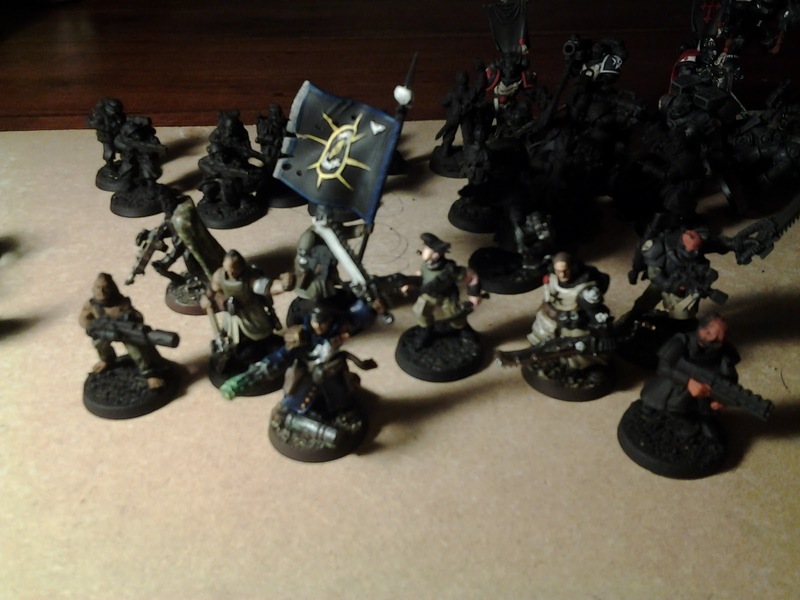 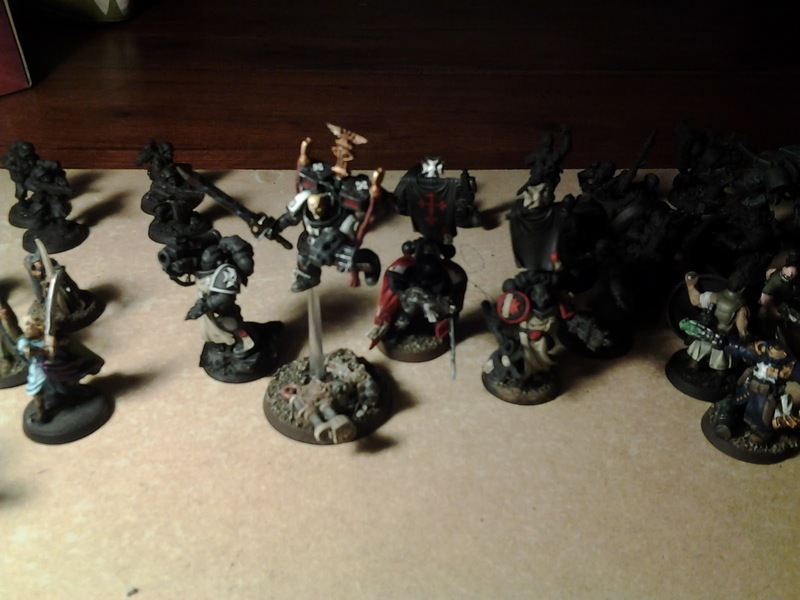 Currently i have a few projects on the go, but two main ones... my LotR collection is getting a vamp and i bought a Black Templars 40k army off an employee a while back. 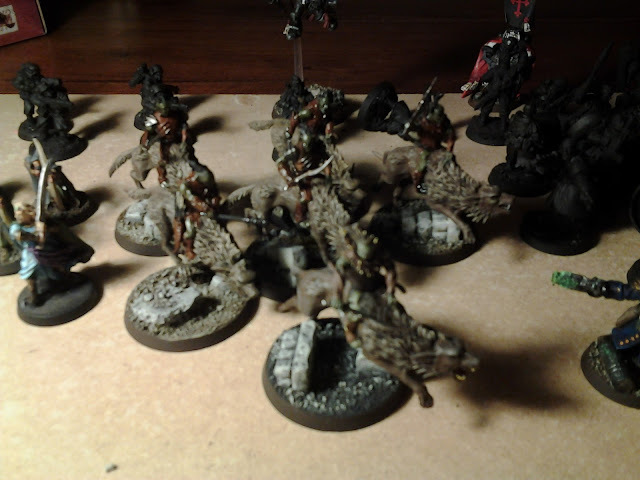 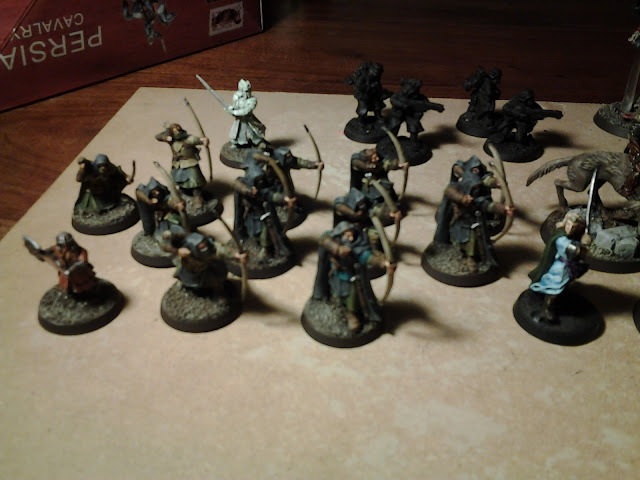 Heres a few shots of Glofindel, Gimli, king of the dead (converted), some warg riders (new sculpts are awesome), plus a bunch of imperial rogue traders and Black Templar crusading force. Sorry my tablet camera isnt so flash, i apologise.